Charlie Price spent seven years in Manhattan doing hair for editorial shoots, and he returns twice a year to create Fashion Week runway looks for the likes of Billy Reid. But don’t let his bona fides give you the wrong impression. 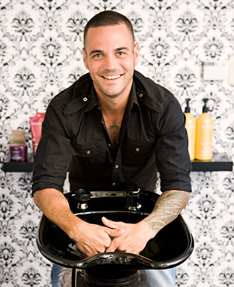 His soulful Design District salon is decidedly pretension free. Tucking in for a cut and color in the rough-luxe space, outfitted with cowhide rugs, antique furniture, industrial lighting, and stacks of oversize fashion tomes by Arlington interior designer Jessica McIntyre, feels a bit like hanging out in your hippest friend’s Brooklyn apartment. Only here, after a glass of wine and some conversation, you leave with really great hair. You can take lunch and a latte to go, too, from neighboring Ascension Coffee. Restaurant iPad menus are available whenever you get hungry. Read More About Charlie + Co.